Here is a book babies can really sink their gums into. Built for the way babies read, Indestructibles are printed on an amazing paperlike material that can’t be ripped, torn, or punctured. Indestructibles are 100 percent safe and nontoxic, and if they get too funky, just throw them in the washing machine or dishwasher. They’re made for baby to hold, grab, chew, pull, and bend, and are designed to create an even more special bond between reader and baby. Printed without words, the parent gets to make up the story, or just cuddle with baby while they explore together. Mary Had a Little Lamb introduces the work of Jonas Sickler, a children’s illustrator whose paintings, full of detail and personality, have a fresh, whimsical sensibility, a pleasure for both baby and parents. The book gives a new spin on a traditional nursery rhyme, so parents can really have fun with the subject—Mary Had a Little Lamb follows a girl and her lamb in her village in Africa. The text for the nursery rhyme is printed on the back cover. A man I helped to settle here taught me a saying from Africa. I'll bet you would like it: A cow is God with a wet nose. Kek comes from Africa where he lived with his mother, father, and brother. But only he and his mother have survived. Now she's missing, and Kek has been sent to a new home. In America, he sees snow for the first time, and feels its sting. He wonders if the people in this new place will be like the winter—cold and unkind. But slowly he makes friends: a girl in foster care, an old woman with a rundown farm, and a sweet, sad cow that reminds Kek of home. As he waits for word of his mother's fate, Kek weathers the tough Minnesota winter by finding warmth in his new friendships, strength in his memories, and belief in his new country. In an African village live seven brothers who make family life miserable with their constant fighting. When their father dies, he leaves an unusual will: by sundown, the brothers must make gold out of seven spools of thread. If they fail, they will be turned out as beggars. Staying with Aunty Bee at a safari camp in the Botswana countryside where a film crew is making a movie about a lion, nine-year-old Precious Ramotswe and her resourceful new friend Khumo use their detective skills to find the movie star lion when he goesmissing. After a fire kills her parents, eleven-year-old Martine must leave England to live with her grandmother on a wildlife game reserve in South Africa, where she befriends a mythical white giraffe. 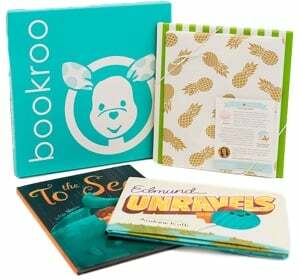 Indestructibles are the 100 percent baby proof, chew proof, rip proof, completely washable, and nontoxic series of books. Books built for the way babies read, Indestructibles are printed on an amazing nontoxic, paperlike material that holds up to endless chewing, gumming, gnawing, grabbing, bending, and pulling. Then, once the books get dirty, parents can throw them in a dishwasher or washing machine to make them clean as new. The title is adapted from classic nursery rhymes and illustrated by Jonas Sickler. Sickler’s paintings are whimsical and fun, filled with dazzling textures and eye-popping color. They will grab and keep a baby’s attention, and delight adults. The book offers a multicultural twist on a classic nursery rhyme -- Old MacDonald Has a Farm, set in Bolivia is full of llamas, alpacas, sheep, and cows. The text for the nursery rhyme is printed on the back cover.